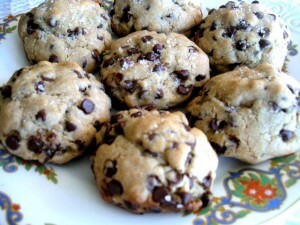 It’s an intriguing claim that needed confirmation – a recipe for the best chocolate chip cookie. On a sunny Mother’s Day weekend we decided to serve these cookies along with homemade challah bread, sandwich fillings, cheese, baked crab and cheese appetizers, strawberries and baked goods. The baked goods were chosen to appeal to the children and the savory items were for the benefit of the adults. Thanks go to the good people at the Guardian newspaper for providing the recipe. The cookies were a hit and we already need to not only share the recipe but also check in with friends who have been planning to try it out. The dough needs to be made the day before and chilled in the fridge. Since this is a British recipe you will also need a scale to weigh many of the ingredients. Pay careful attention if you are not used to reading a scale to make sure that you have the right measurements. The recipe calls for broken dark chocolate; however, we used mini semi-sweet chocolate chips instead. 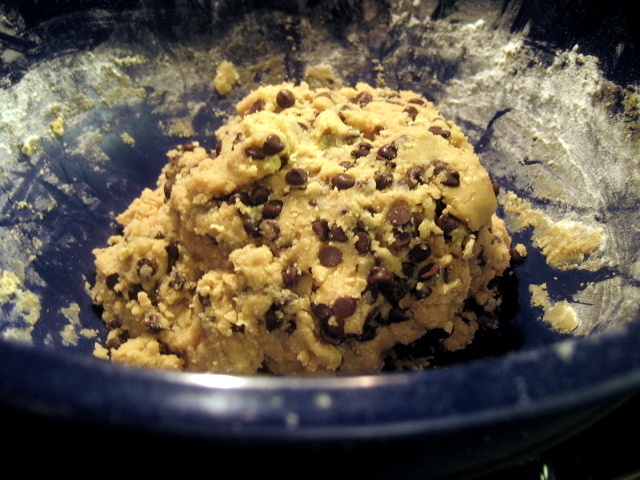 After it is mixed, the dough will be firm but not too dry. 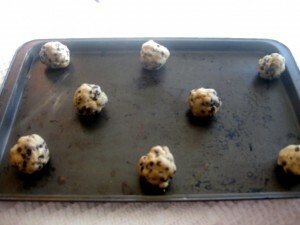 The next day form golf ball size balls and space them out on an ungreased cookie sheet. If you have parchment paper, you can line the tray. Do not use wax paper as it is not meant for baking and will stick to the bottom of the cookies. Set the stove timer for two minutes before the recommended minimum time to see how they are fairing. Don’t bake the cookies beyond the maximum time of 15 minutes. Once you take the cookies out of the oven, sprinkle them with sea salt and let them cool for five minutes on the tray. As they cool, they will continue to cook. You will end up with cookies that are fully baked, but still moist. 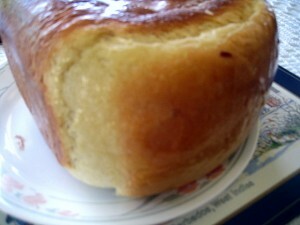 The challah bread was made fresh and timed to be ready just in time for the tea. We used a recipe from the Canadian Bread Machine Baking cookbook, by Roxanne McQuilkin*. Since this is a white bread recipe, it is not an ideal choice if you prefer whole wheat; however, it works well for a special tea. As soon as the bread is baked, you need to rub the surface with butter. You can also coat it with sesame or poppy seeds. Since our tea included five young children, we kept it plain. In this era of Pinterest and gorgeous celebration photos it can feel daunting to put on a tea. It is best to forget the glam photos you’ve seen, choose your favourite recipes and pile everything on the table. 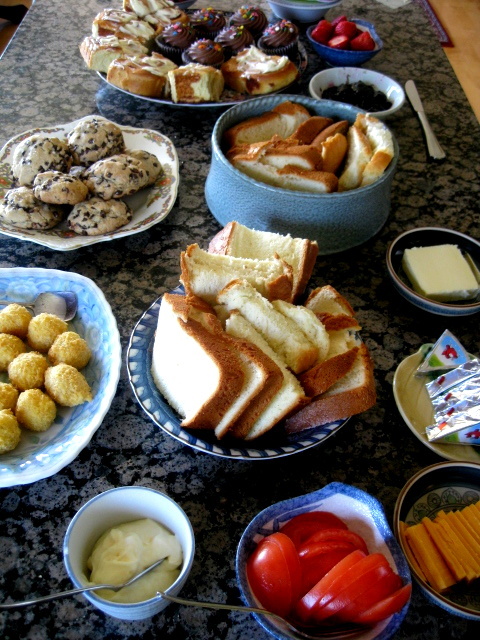 You’ll end up with a spread that even Martha Stewart would love. We’d love to hear from you so don’t be shy! You can comment about this posting using the comment function below or visit us at our Facebook page. * BCFamily.ca is connected to the Amazon Associates programme. Note that the one review of this book looks a bit spammy. You can find a better review on the Indigo.ca site. The book has many simple and unique recipes that don’t require special trips to the store. If you’re keen on using your bread machine, you’ll definitely want to have this cookbook on your shelf.